With this blog containing articles on how to hack facebook or myspace, I get a lot of mixed feedback from readers. A few people say “if you don’t trust your partner, don’t be with them” or that invading the privacy of anyone is immoral and low. The thing these people don’t understand is that it’s different when someone accepts a committed relationship with you. You have every right know who they are talking to or what they are doing if you’re in a committed relationship with that person. 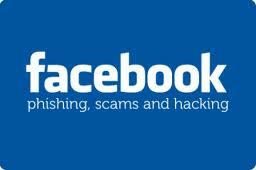 Many people would like to hack a facebook account in order to find out some information. Since our blog is focuses on catching cheating spouses this is a hot topic these days. I’ve written many hacking guides for myspace, hotmail, etc. and they all are pretty similar. There are lots of scam sites and such telling you they can hack for money, or having you download “hacking tools” that are actually designed to steal your own passwords.. and these should be highly avoided. MSN’s hotmail service is is estimated to have over 256.2 million users, and you’ve landed here to learn how to hack into just one of them. Whether it be to monitor your spouse, check up on your kids, revenge, or whatever business you might have, it is very possible to access the email account of someone you know – especially with Hotmail. MySpace is usually a goldmine for juicy information and cheating messages goin on in one’s life. I personally found my girlfriend had cheated on me by discovering a myspace message in her inbox (rather, she forgot to delete her trash) – she was arguing with a guy about how he contracted an STD.. I couldn’t believe it. I got tested and thankfully I was completely clean, but I learned a valuable lesson about trust. As you can see and probably understand, knowing the truth is very important and many others agree.. even though there are others that say it is unethical. I say when it comes to your health and happiness the most ethical thing is to take care of yourself. It is very common for them to flirt, send sexual photos, or even create entirely new myspace accounts to secretly have another relationship – I have heard it all from the people that read my blog. It’s no wonder many people want to know how to hack a myspace account..